Capacitance is an important parameter for ultracapacitor. 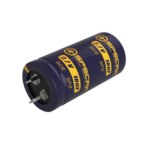 The changes in capacitance could reflect the internal status of an ultra capacitor. For example, when the medium becomes damp or the elements get short circuit, the capacitance will be larger than the rated one. So by measuring its capacitance we could evaluate the operation status of an ultracapacitor, and prevent possible failure of the ultra capacitor. 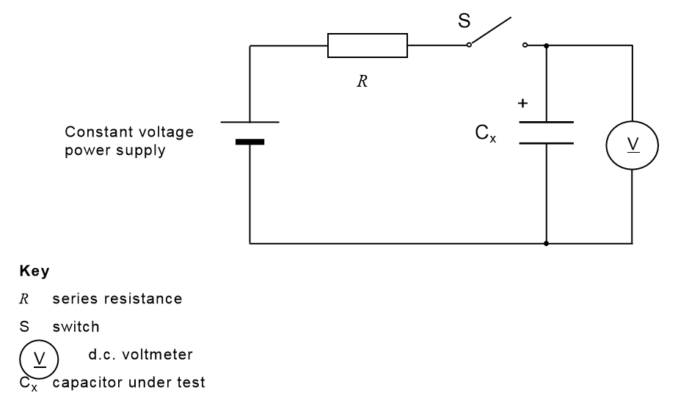 Set the constant current value of the constant current discharger to the discharge current specified in Table 2. Turn the switch S to the d.c. power supply, and unless otherwise specified in the individual standards, apply voltage and charge for 30 min after the constant current/ constant voltage power supply has achieved the rated voltage. After a charge for 30 min has finished, change over the switch S to the constant current discharger, and discharge with a constant current. f) The discharge current I and the voltages U1 and U2 at the time of discharge voltage drop shall be as per Table 2. The method classification shall be in accordance with the individual standards. a) If ∆U3 exceeds 5 % (0,05 × UR) of the charging voltage in the initial characteristics, the current value may be reduced by one half, one fifth or one tenth. b) The number of significant figures for the discharge current value of 10 A or less shall be one digit; the second digit of the calculated value should be rounded down. c) The number of significant figures for the discharge current value exceeding 10 A shall be two digits; the third digit of the calculated value should be rounded down. a) Prior to measurement, short-circuit between capacitor terminals for 30 min or more and discharge sufficiently. R is the series resistance (Ω). 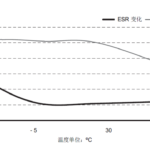 c) Set the value of R so that T becomes 60 s to 120 s.
Conclusion: Since the constant current discharge method could be done automatically and takes comparatively a shorter period of time, while the constant resistance charging method could not be done automatically, so most of the manufacturers use the first method, so does SPS. Supreme Power Solutions Co., Ltd. (SPS) is a leading manufacturer of ultracapacitors, as well as a provider of supercapacitor energy storage systems and technological solutions. Our products have wide industry applications, such as new energy vehicles, wind turbines pitching control systems, trams and subways, smart grid, micro grid, heavy duty machineries, intelligent instrument, etc. We support more than 200 customers, and our products are exported to 26 countries and territories.